Turo is a car sharing marketplace where travelers can rent any car they want, wherever they want it, from a community of local car owners. Travelers choose from a unique selection of nearby cars, while car owners earn extra money and help fuel the adventures of travelers they meet along the way. 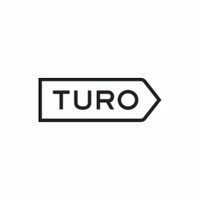 Since its national launch in March 2012, Turo has built a vibrant community of over 2 million owners and travelers. Owners are able to make hundreds – or even thousands – of dollars a month by simply and safely renting out their cars. From A3 to Z4, renters have access to an unparalleled selection of vehicles at prices up to 40% lower than other car rental options, while enjoying the convenience of renting cars where they’re needed: right in their own neighborhood, at the airport, and everywhere in between. Backed by top-tier investors, including August Capital, Google Ventures, Shasta Ventures, Canaan Partners, and Trinity Ventures, Turo is currently available in 2100+ cities and 300+ airports throughout the United States. With a talented, dedicated team, we’re changing the way people think about travel.